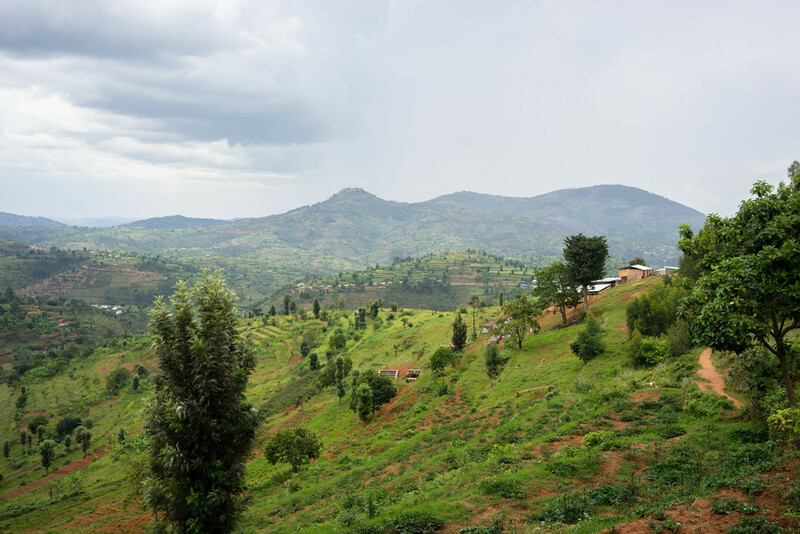 Earlier this year we spent a month in the South of Rwanda at Motherland Farmers washing station. To many of you Motherland will be familiar – we are partners in this washing station – and last year we had our first season of coffees from the work we are doing there with the Motherland Farmers team. Our visit this year was aimed at ensuring that the quality protocols that had been put in place in the previous season remained and to start some processing trials. We also wanted to manage and increase the volume of cherry processed through the washing station. When I first arrived it was clear that there was an abundance of cherry this season. This can both be good and bad. High yields means that the farmers will have more cherry to sell and as a washing station we will not be lacking supply. But for this reason there will be a lack of competition over cherry purchasing between washing stations, often meaning the price for cherry is reduced. The increased volumes can make it hard to manage cherry sorting, so the quality can sometimes suffer. As a washing station, when you increase the volume of cherry you are processing there is added pressure placed on the entire infrastructure of the organization. By late April the Motherland Farmers team had been working exceptionally hard and very long hours to manage the increase in cherry we were receiving. 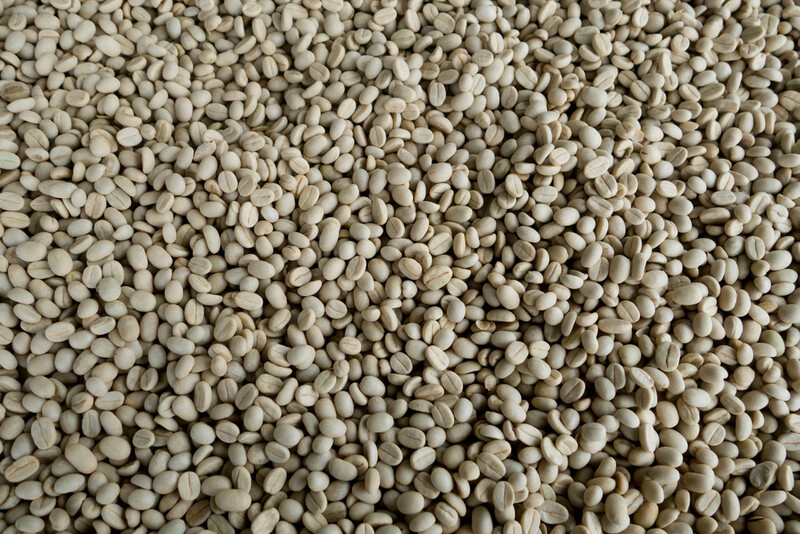 As the volumes you are processing increase, you have to think about every step of the process and how it is affected: if you have more parchment form pulping you will need more drying tables to move the parchment onto. You’ll need an increased work force to manage sorting both at a cherry level and of the parchment on the drying tables. You’ll need more people to turn the coffee across the added tables. The increased volume places pressure on your core management team as they are working longer hours managing more activity, but it is also taxing on simple things like your water supply. Although increasing volume was one of our aims this year, it was important this did not come at the cost of quality in processing. We had already prepared for this by building more drying tables, increasing the number of workers, and we very quickly established a maximum volume of cherry we could receive and manage well. We have also maintained our shade drying area; we will continue to assess the affects and potential benefits of shade drying before we look to invest in an increased capacity to dry parchment under shade. We visited again in June to cup through most of the production from Motherland Farmers, and to make our selection of lots. We have kept aside some day deliveries of cherry as individual Micro lots and created some blends out of the smaller daily deliveries that cupped with a similar profile. The coffees are cupping well, they have a somewhat different profile from other coffees in the South. Cherries, berries, and intense fruit are in abundance, while still showing tightness and great structure. We will have a number of lots available from Motherland Farmers washing station; they have been named according to the area from which the cherry has come from around the washing station. This includes the closest village, Kamiro but also Kigoma, Buremera and Cyanika. As there are a number of lots from each area, they will either be singular day deliveries of cherry and have a lot number that denotes this date (April 4th) or they will be a blend of several daily lots with a lot number denoting the blend number for this year (#1). We are continuing to work with a number of other washing stations that we have ongoing relationships with over the years and which are continuing to produce great coffees. In the Western Province of Rwanda there is a district called Nyamasheke, where we have been working with a washing station called Mahembe, owned by Justin Musabyimana, who we also visited earlier this year. We cupped through the deliveries of parchment to select some lots for this year. These coffees are cupping very consistently every year, with clear flavors, dark fruit, floral and tea-like high notes. 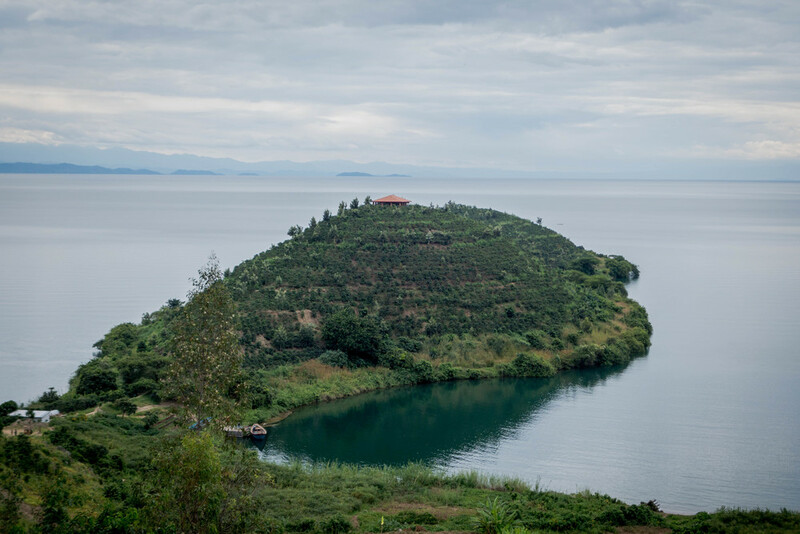 We are expecting a lot of coffees from Rwanda this year with a lot of variety across the different, interesting regions and with distinct cup profiles. We currently expect our first arrival in September.